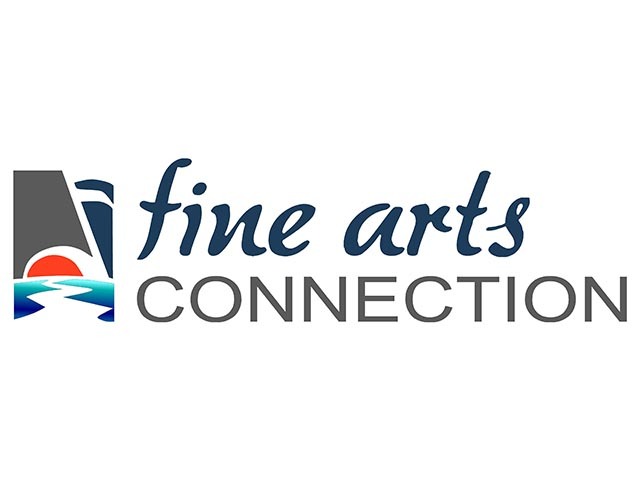 Fine Arts Connection has had half-baked, unfinished websites over the years. 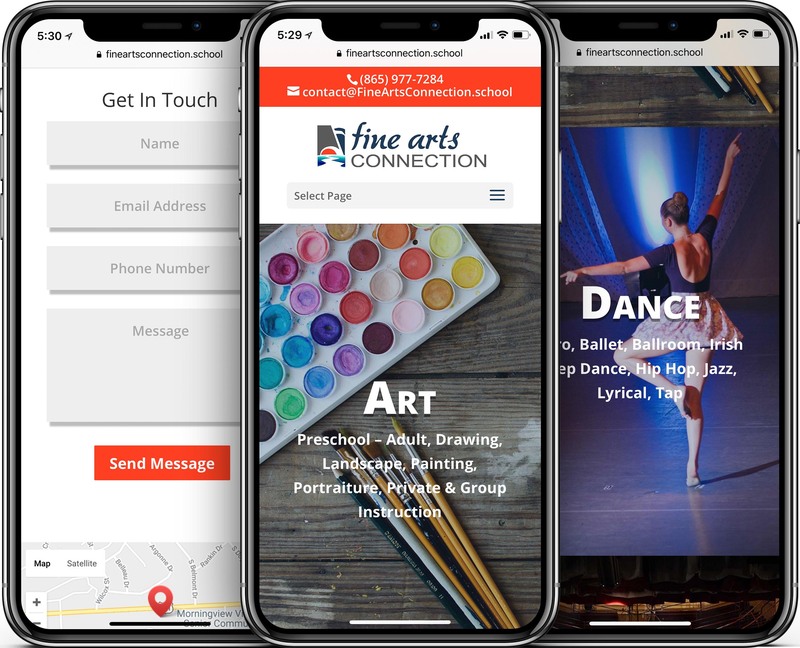 Finally, it was time to hire a professional web designer to build a gorgeous mobile-friendly website. The result is a polished eCommerce website that integrates with the merchant’s Square account for online class registration & payment. 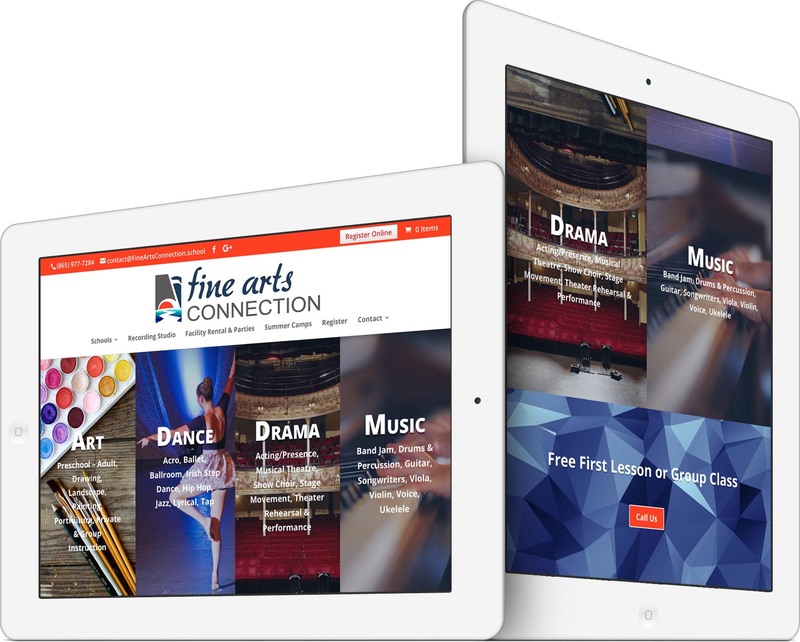 The responsive web design ensures the site looks perfect on smartphones and tablets, as well as desktops and laptops. 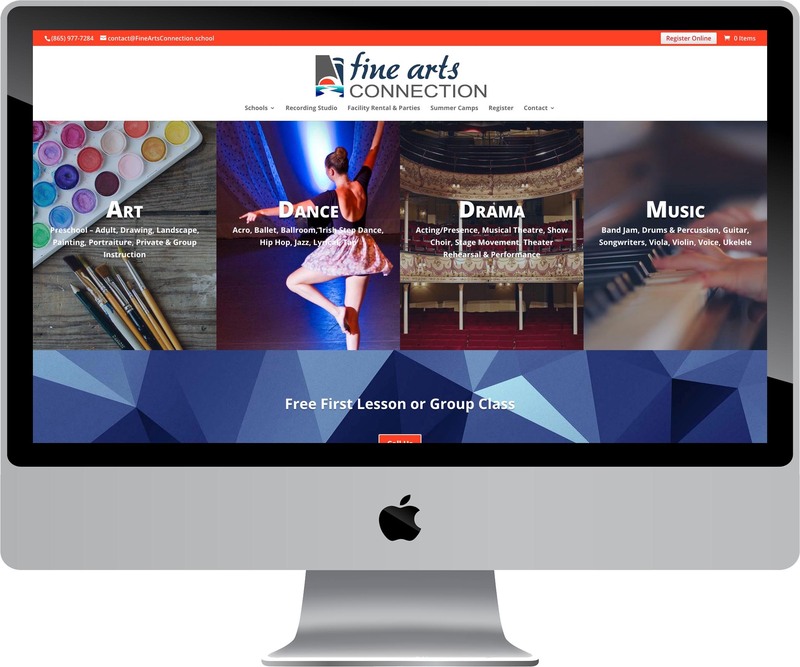 Fine Arts Connection is blown away by the finished product and takes advantage of our Website Care Service for website hosting and management. We are a school of Art, Dance, Drama and Music. We also have a recording studio and facility rental/parties.